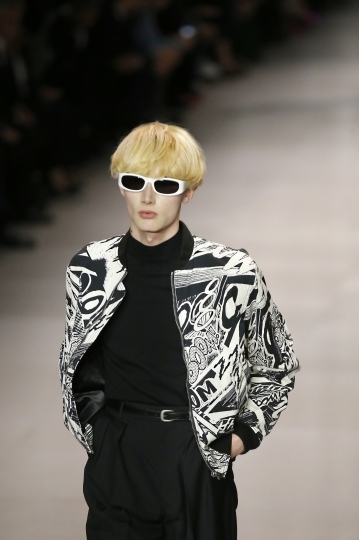 PARIS — Where Hedi Slimane goes, the buzz is sure to follow. 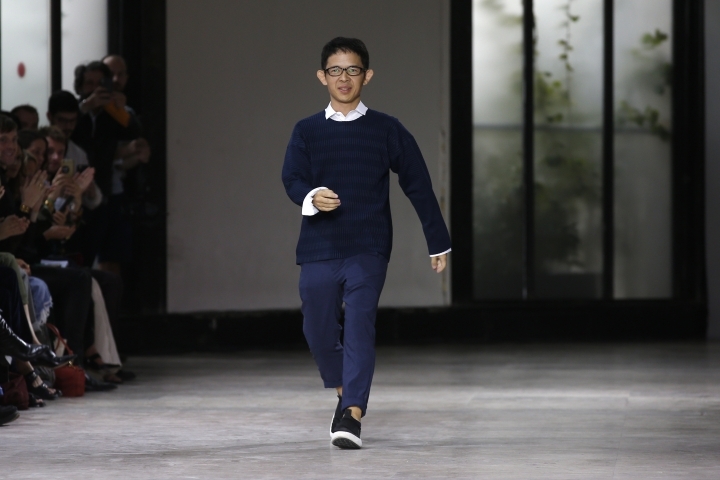 The love-him-or-hate-him designer, credited with starting the global skinny menswear style via Dior Homme and later revamping Saint Laurent, returned at long last to the Paris Fashion Week calendar to unveil his debut at Celine Friday. 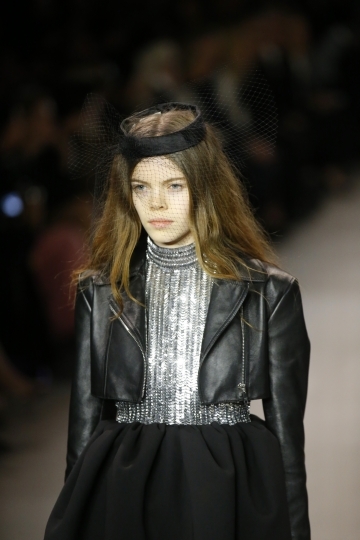 The reception was muted among critics who viewed it as deja vu from Slimane's Saint Laurent days. 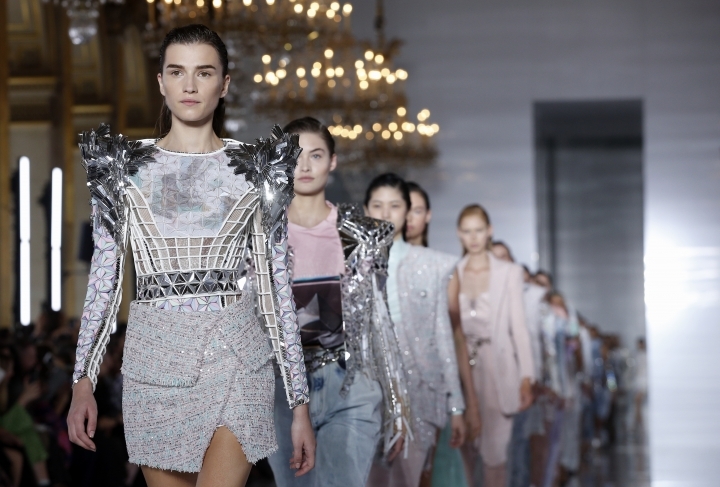 Earlier in the day, Balmain's ode to Parisian couture impressed insiders at almost as much as the show's infectious soundtrack, which had model Cara Delevingne lip-synching. Lady Gaga exited her limo to a flurry of paparazzi snaps. One editor was nearly run over. Catherine Deneuve pouted on the front row inside, as revelers drank from champagne labelled, of course, Céline. This was, by every indication, the biggest show of the calendar. 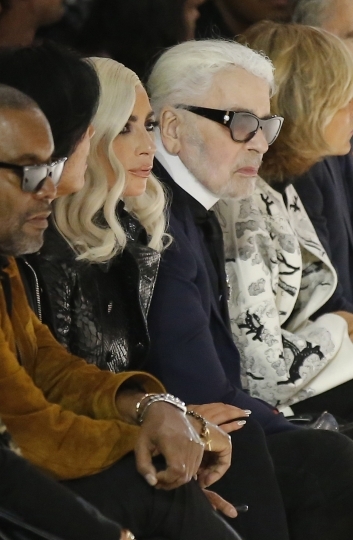 In the giant makeshift Japanese-style building constructed for the 15-minute show at Les Invalides, an in-house staff member then whispered magic words into an earpiece: "The (LVMH-owning) Arnault family is seated and Karl (Lagerfeld) as well." And that was that — the collection began. Soldiers in regal garb began drumming dramatically as a giant crystal opened to reveal the first look of 96. Some editors raised their eye-brows — others simply smiled — as a polka dot 80s balloon micro dress filed by. This was beginning to look like a case of fashion deja vu. Slimane, in his debut show for storied Maison Céline that was founded in 1945, has done, well, almost exactly what he did at Saint Laurent in his successful creative tenure there from 2012-2016. The sparkling 80s disco micro dresses. 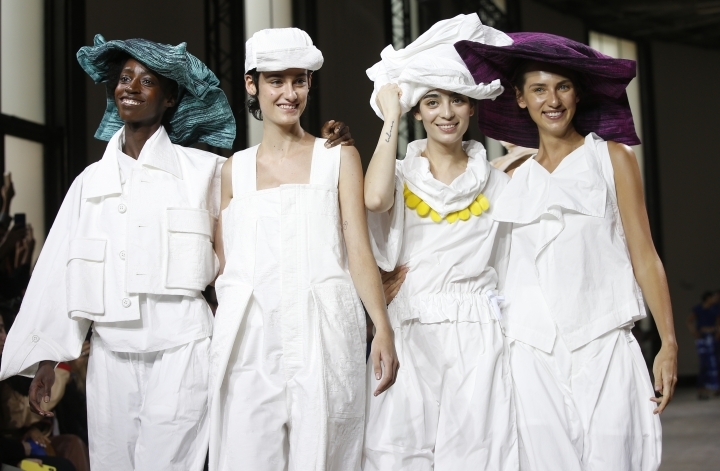 The waif-like models who stomped like angry teenagers. The grungy hair. The leopard or striped fur coats. The sparkle. But whatever the inspiration was, there was plenty of style to be had. Frothy shoulderless tops followed hot truncated black leather jackets. 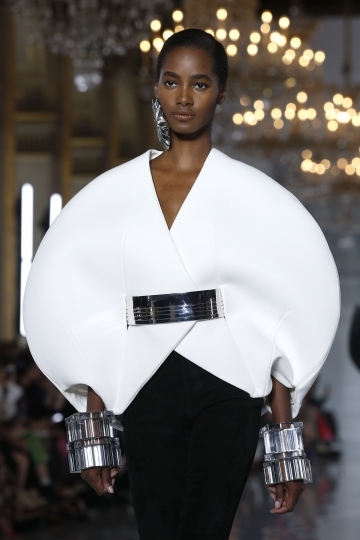 Giant round or geometric arms then appeared, cutting a fine shape in some sort of visual reference to the styles of Celine's predecessor Phoebe Philo. If this was meant as an homage, it was short lived. 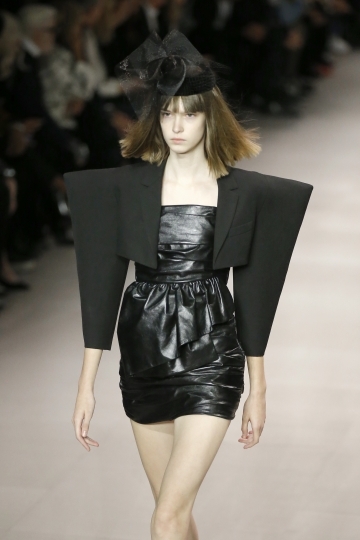 These ensembles were accessorized with black veiled hats, bringing their style firmly back to the New Romantics-era that Slimane favored at Saint Laurent. In an audacious admission of pastiche of himself and of fashion in general — square handbags shaped like vintage Chanel sported near interlocking CC's. 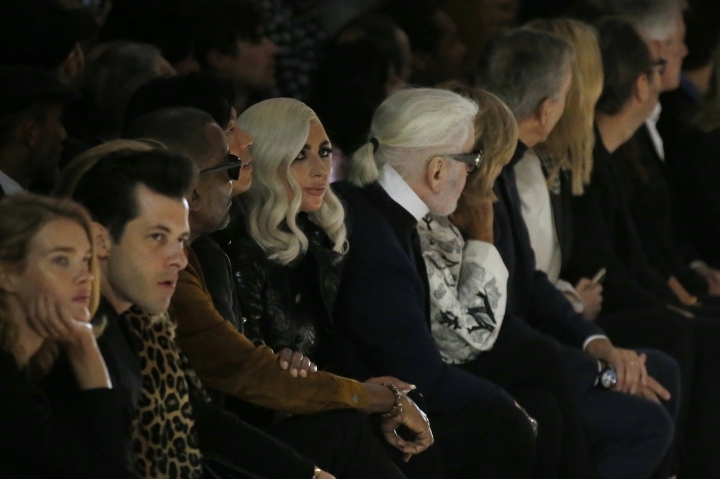 Chanel's designer Lagerfeld, 85, looked on poker faced, next to Lady Gaga. 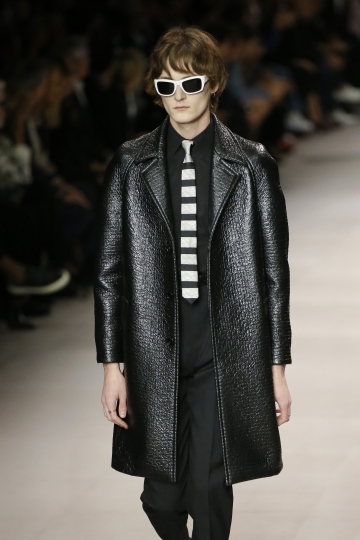 In a first for Celine, Slimane used his love for androgyny to introduce men's style to the runway. It resulted in some must-have leather shoes — thought the skinny ties on several suit looks were a little unoriginal. They weren't the only thing. 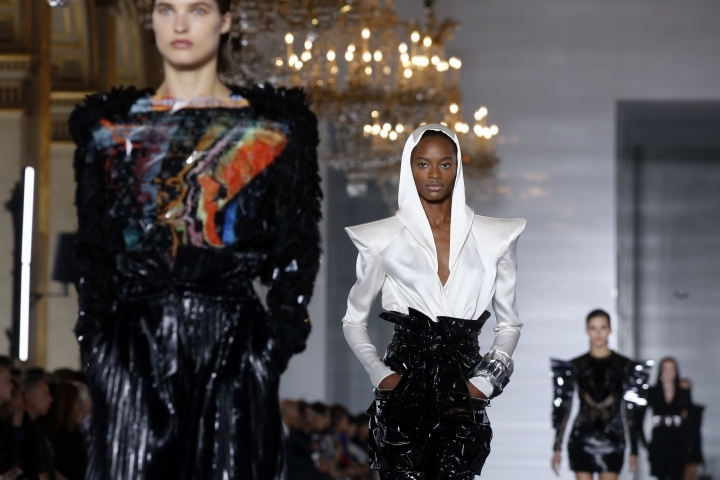 In homage to the French capital's reputation as a center of fashion design know-how, Balmain creative director Olivier Rousteing declared his mantra was mastering "the rules before you...break them." 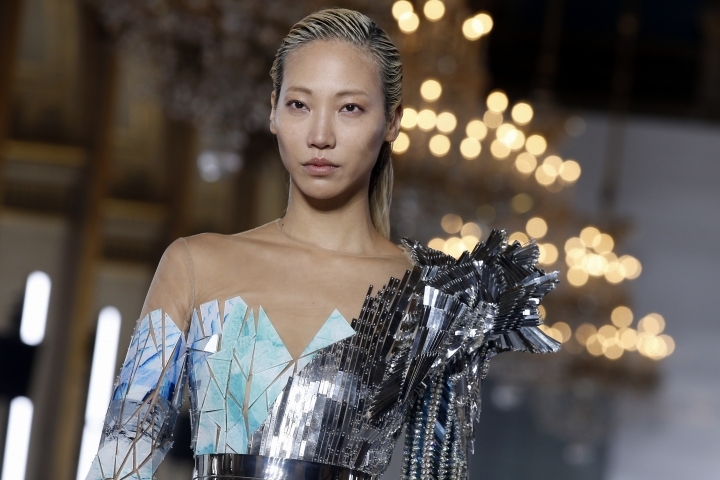 Guests at Balmain's ambitious spring show, including model Alessandra Ambrosio and socialite Olivia Palermo, looked on with delight as the presentation mixed the fashion capital's traditional couture DNA up in deconstruction. 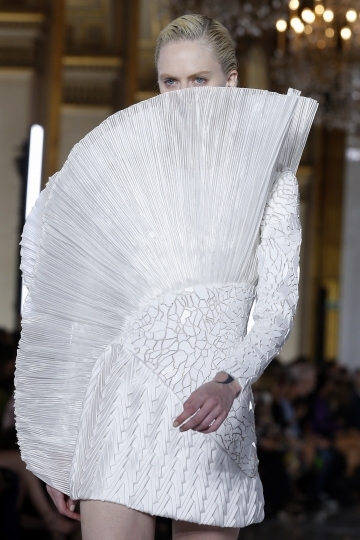 With white the dominant color, the Balmain atelier's needle-workers had gone to work skillfully on creating structure. A giant oval wrap that opened in segmented shell-like sections had guests snapping their cameras. The same shell-like sections were seen later, but this time deconstructed, looking almost-upside down, with a fan shape stitched onto a skirt. The look — a skintight white peaked-shoulder gown — was made with strips of material that were snipped away in places to resemble bandages — almost like the wrapping of an Egyptian mummy. 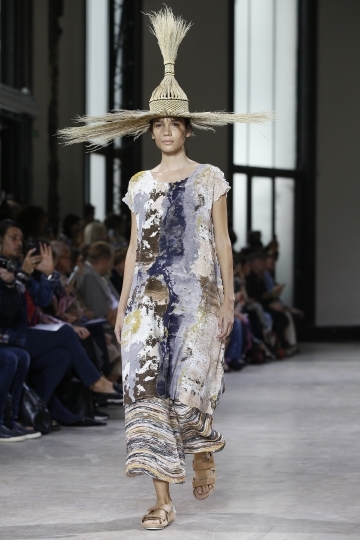 The Egypt idea, in fact, was revealed as a dominant theme as the collection progressed. Rousteing explored his "fascination with the impressive obelisks, pyramids and columns that date from Napoleon's campaigns and adorn" Paris. 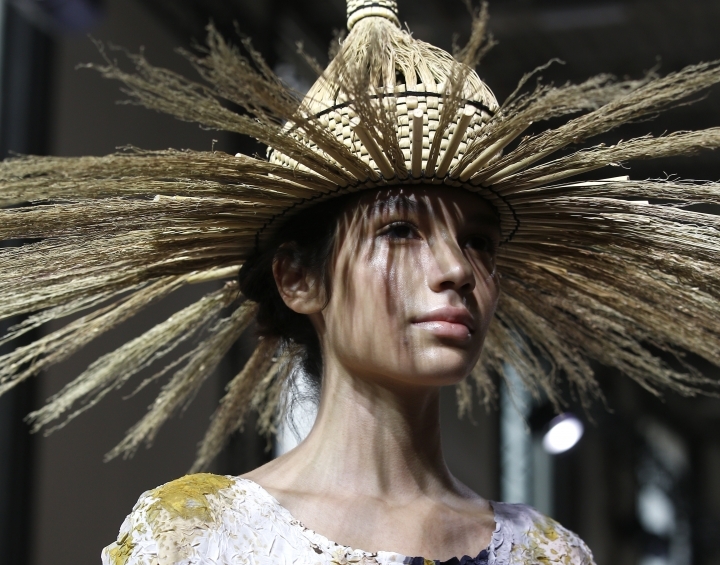 Dramatic Egyptian shoulders mixed with hieroglyphic prints, while denim and tweed were treated to look like ancient papyrus. Some of the detailing came across as too much, but the enthusiastic applause the designer received was well-deserved. "I enjoy pushing envelopes, thinking outside the box," he said in a note placed on guest's seats — in an envelope. It's quite a feat when a fashion show soundtrack stands out as much as the clothes. At Balmain's Friday morning show, catchy pop hits had front-row editors tapping their feet, nodding their heads and joyfully mouthing or singing the lyrics. Model and actress Cara Delevingne should be credited for initiating the sing-along enthusiasm among normally purse-lipped fashion insiders. Delevingne opened the show in a white peaked-shoulder coat and metallic black bustier, lip-synching Prince's "When Doves Cry" all the way down the runway. As she took a finale bow with designer Rousteing, Delevingne mouthed some lyrics again as she danced backward in heels, trying not to trip and sticking her tongue out a few times. The infectious spring collection soundtrack also included Whitney Houston's "I Wanna Dance With Somebody" and Queen's "We Will Rock You." It had guests humming all the way down the gilded staircase of the venue — Paris' opulent City Hall. 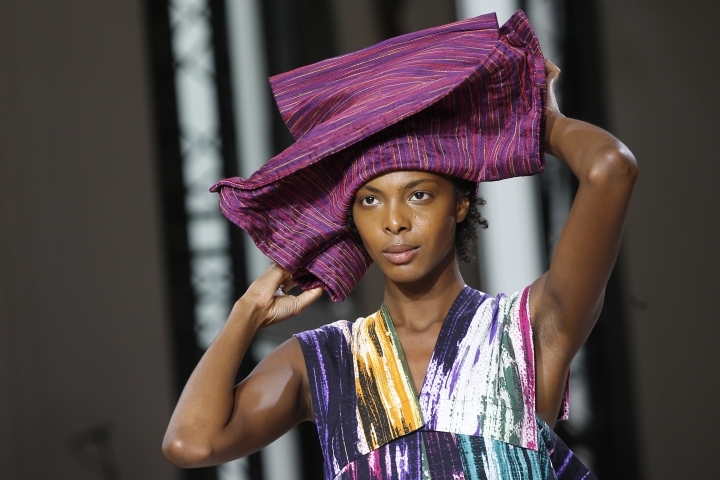 "The history of mankind has been made by hands," Issey Miyake said in presenting a collection featuring a new flexible and malleable cloth. 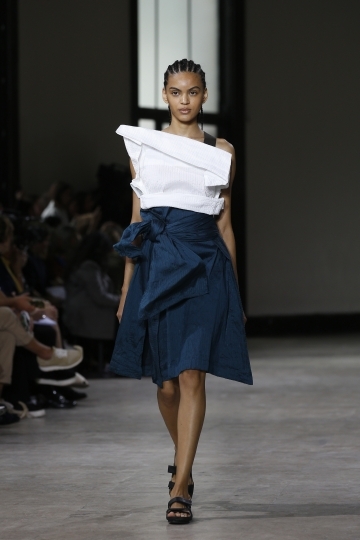 The Franco-Japanese house famed for its cutting-edge use of techno-fabrics this season decided to showcase a material called "DOUGH DOUGH." "Cloth too, seeks freedom," read the program notes.